A powerful diagramming tool that helps you transform complex information into pictures. 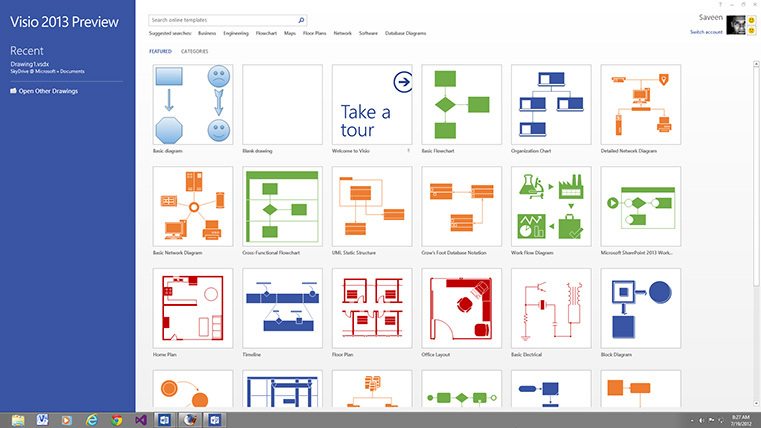 Visio helps professionals quickly create diagrams and schematics of processes, flowcharts, floor plans, org charts, networks, and more. Prerequisite: Good knowledge of the Windows environment. This comprehensive hands-on course teaches you how to use Microsoft Visio to create professional diagrams to visualise complex systems, sharpen communication and fine tune business processes. You will practice building both simple and complex diagrams, using templates, shapes and Smartshapes.